Wedding Bells have come and gone, but celebrating that spectacular day will never go away. Find something special at Everything But Flowers. The wedding anniversary, a day celebrating one of the most special days for any couple. But the question remains, what kind of gift should I buy? At Everything But Flowers we have many different options for this wondrous day. 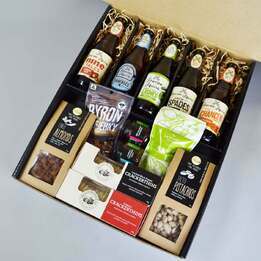 Whether it be one of our Luxury Hampers, or perhaps some classic Australian wine. Or even an old favourite like a Dozen Long Stemmed Roses. Any way you wish to go, Everything But Flowers will help you find a beautiful gift to mark this special day. Are you interested in getting great wedding anniversary gifts? Wedding Anniversaries are the most important occasions and getting the right anniversary gifts are indeed crucial. We can always celebrate the special day with the most beautiful anniversary gifts that are available at Everything But Flowers. 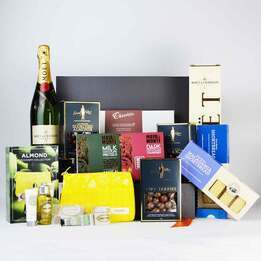 Are there any hampers that suitable as Wedding Anniversary gifts? 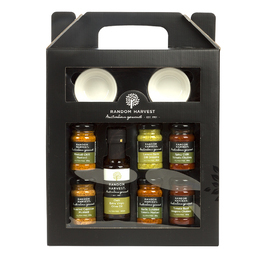 There are many hampers that are beautifully wrapped and are filled with goodies, available at Everything But Flowers, and of course, they make wonderful Wedding Anniversary gifts! 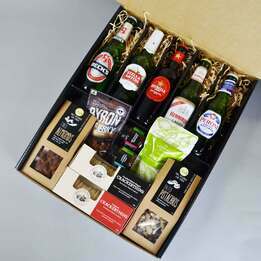 You can check out our The Glenlivet Founder’s Reserve Hamper, The Sweetest of Girl Hampers, Pure Indulgence Hamper, Classic Port Hamper , Luxury Chocolate & Champagne Hamper and The Best of all Gourmet Hamper. 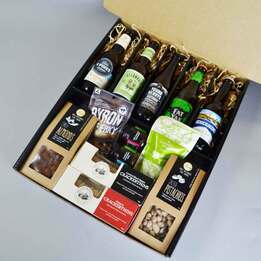 These hampers will really make wonderful hampers and you can consider getting these hampers as anniversary gifts for your family or friends. For anyone that has a sweet tooth The Sweetest of Gift Hampers would be the right Anniversary gift, as it contain chocolates, pastries and delectable snacks. 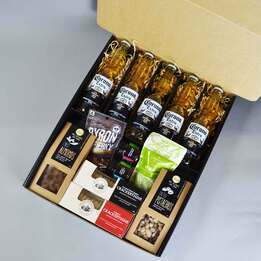 For more information about our hampers, do log on to our website to find out more! Are there any amazing experience vouchers? Yes, there are! You can always find amazing experience vouchers at Everything But Flowers. You can try our Vineyard Picnic for 2, Hunter Valley. Take in the picturesque view and immerse yourself amongst the vines where you will feel as though you have the whole vineyard to yourself. Our amazing experience vouchers also include Helicopter Scenic Flight, Sydney Harbour, 1 hour Airbus A320 Flight Simulator and Scenic Helicopter Tour, Melbourne. Our Helicopter Scenic Flight, Sydney Harbour is the only way to see Sydney and its coastal wonders, in the spectacular Helicopter flight 20-minute scenic ride. As for the 1 hour Airbus A320 Flight Simulator, it’ll be an amazing experience as you get to spend an incredible hour flying a state of the art Airbus A320 flight simulator. You will then get to experience what it’s like to fly a plane! Amazing isn’t it? Our Scenic Helicopter Tour, Melbourne takes you on a scenic and enjoyable ride so that you’ll be able to enjoy that breathtaking view of Melbourne city. All these vouchers from Everything But Flowers would definitely make amazing anniversary gifts for your family or friends. What Are the Top Wedding Anniversary Present Ideas? 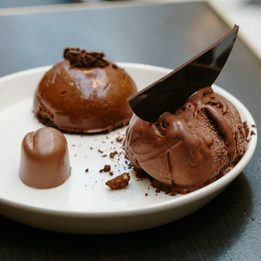 The top wedding anniversary presents at Everything but Flowers are mostly our romantic experiences; this is not a surprise, because one of our experiences can provide recipients with some lovely new memories. Our romantic experiences are usually designed for two people as well; this means that the couple can enjoy the experience together. What Are the Top Five 50th Wedding Anniversary Presents? There are several top gifts you could consider for a wedding anniversary. The top five presents for a 50th wedding anniversary include a designer picture frame, gourmet hamper, jewellery, a designer watch, and customised wall art. So, when in doubt on what to buy for a 50th wedding anniversary, any of these five gifts should be on the top of your list. What Are the Top Five 25th Wedding Anniversary Presents? For a 25th wedding anniversary, the top five presents are slightly different than the top five for a 50th wedding anniversary. However, the presents are still fantastic, because the top five for a 25th wedding anniversary includes anniversary drinking glasses, a cheese board set, champagne, a vase, and table decorations. If you are buying for a 25th anniversary, be sure to consider any of these suggestions from Everything but Flowers. I’m looking for books as Wedding Anniversary gifts to my friends. Are there any interesting books? Yes, we do have interesting books that will make great Wedding Anniversary gifts too! Check out our Don’ts for Husbands and Don’ts for Wives! A beautiful and successful marriage needs effort from both parties. Let these books be the guide and let you laugh your socks off! The books include snippets of entertaining advice for husbands and wives everywhere. Everything But Flowers also offers premium gift-wrapping service which is perfect for adding special touch before presenting your gifts to your family or friends. Or if you’re not sure what kind of anniversary gifts to get, you can always get our $200 Gift Voucher and let them choose what they love! You can browse our many other gifts that are also available at Everything But Flowers. We have plenty of gift ideas waiting for you to discover! Do you need something special for an anniversary or a wedding that is about to take place? Not sure which gift you should buy for the happy couple? If you don’t know what to buy for a couple on their special day, be sure to consider any of the gifts inside our wedding & anniversary range. 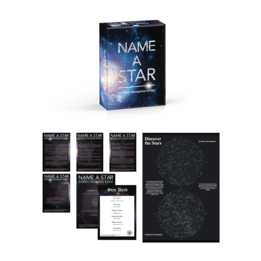 Inside this extensive range of gifts, you can find wonderful gift suggestion such as novelty books, jewellery, homewares and other physical gifts that couples might appreciate. In addition to physical gifts, customers can also acquire experiences for the happy couple at Everything but Flowers. These experiences include a thrilling and adventurous cliff camping experience in Victoria, a private sunset helicopter flight, chocolate walking tours and a private photography session. Because of the unique nature of these experiences, Everything but Flowers recommend getting any of these experiences to provide the happy couple with wonderful memories. Therefore, we can certainly recommend them for newlyweds, but couples celebrating their anniversary and want to experience something new are undoubtedly going to love one of our experiences as well. Should you have problems selecting the right experience for the happy couple, you can also select one of our gift vouchers, which can be used by the recipients to buy the experience they like the most!